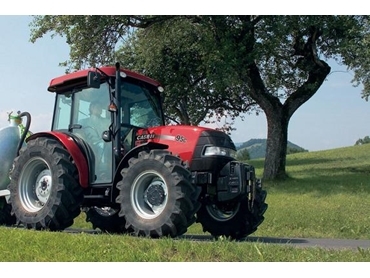 A compact frame and superior power are the highlights of the all-new Quantum C series of tractors unveiled by Case IH recently. The Quantum C’s solid stability and tough construction make it a true all-rounder in versatile applications such as roadside mowing and general on-farm tasks. Case IH Marketing Manager, Stuart Brown says that the powerful engines and their lightweight yet robust construction make the Quantum C farm tractors seem like a contradiction. Stuart says the tractor’s simplicity and rugged reliability make it the perfect basic workhorse for farmers who prefer to concentrate on the job at hand, rather than on operating their equipment. The Quantum C’s capacity means that the tractor can be used to power everything from seeders and sprayers to mowers easily.